Your base camp for excitement! 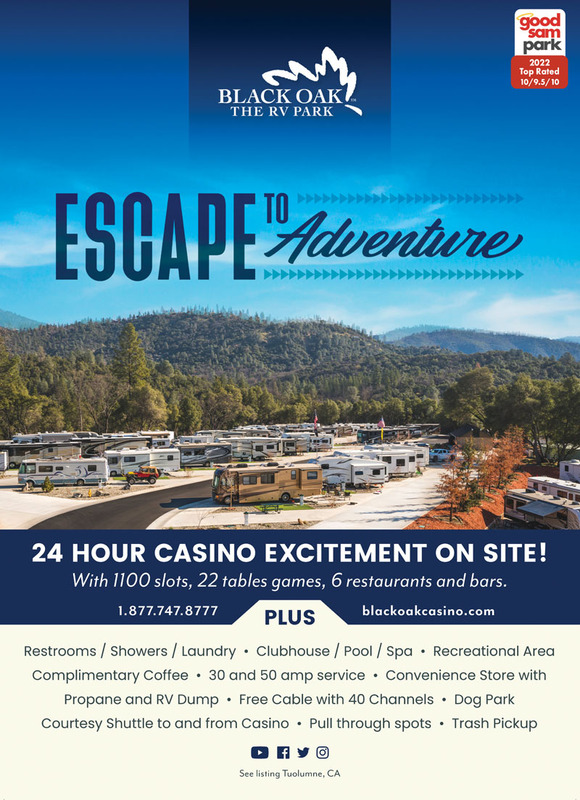 Enjoy gaming in the Casino, hiking in Yosemite, River Rafting, Wine Tasting & snow skiing, fine dining plus incredible resort amenities. Enjoy the entertainment, inside and out! 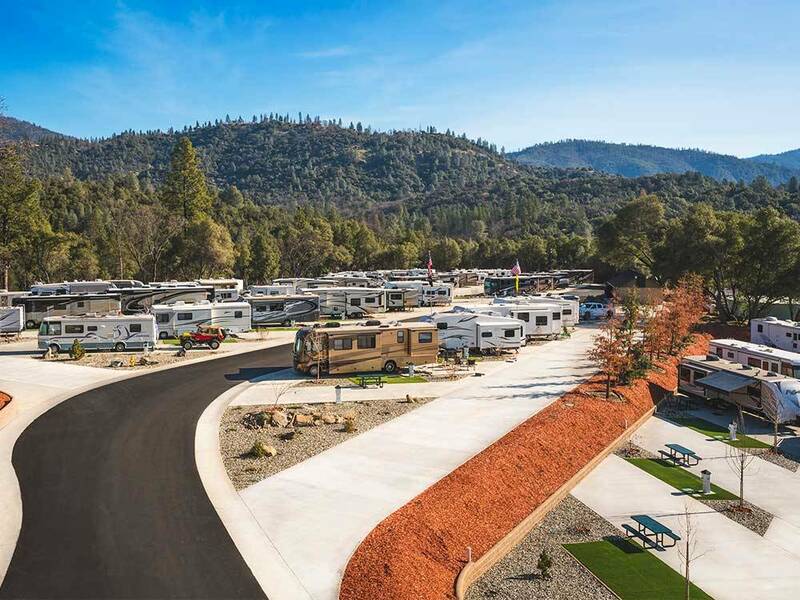 Brand new RV facility. Excellently laid out and landscaped beautifully. Nice level spots, not excessively large but comfortable. Everything in the park functioned as was expected. Pool and community center rooms are outstanding (did I mention “brand new”)? Not particularly easy to get to, but worth the trip! Best park we have stayed in while in CA. This is a new park located by a new casino. The roads and all the parking spots are concrete but the grass is Astro Turf. Trees are small so no reception problems for Sat. Check in is very quick. I did not even have to exit the motor home. Water is typical CA foothills water so you may want a filter and/or a water softener. All sites are pull through and have full hookups with 50A/Water/Sewer. We stayed in a 40' class A motorhome with tow. Were able to park all at site. We would definitely stay again when in the area.